Microsoft's addition of USB drive support to the Xbox 360 is evidently another way for the giant to make a couple more bucks. 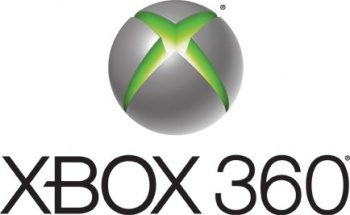 Microsoft will be adding USB hard drive support to the Xbox 360 next week on April 6, and of course will be selling its own official flash drives to use to commemorate the occasion. As if this is any surprise, Kotaku has noticed two GameStop listings that hint at hefty prices for each of the two sticks to be made available. Microsoft's 8 GB USB memory stick is listed at $39.99 while the 16 GB memory stick is listed at $69.90. These aren't official prices yet, but GameStop tends to get things approximately right when posted. The only thing that throws me off is the price of $69.90 for the 16 GB stick, but this is likely to be changed to $69.99 rather than to an actually reasonable price. Not that companies like Microsoft and Sony are expected to provide a good value for accessories (*cough* the freakin' expensive Xbox 360 Network Adapter *cough*), but this article can serve as more of a public service announcement to anyone actually planning to buy a Microsoft branded drive. USB sticks with the same capacity go for around half the price on Amazon.com, Newegg.com, and other retailers. Even Microsoft's Xbox 360 hard drives seem like a great value at these price points. Granted, the prices could be very different when made official, but does anyone expect them to lower at all? The fact remains that it would be a miracle if Microsoft, Sony, or any first-party put out a storage product that was reasonably priced. I'm not bashing Microsoft at all as I understand the pricing methods used. It needs money and the gaming giants usually go into massive money pits just to get consoles onto the market. I want them to survive so I can see better and better games in the future. Still, as a consumer, I hate to see anyone get ripped off unnecessarily. These sticks highlight the ability for companies to make money off of providing new console functionality and selling peripherals to people who don't know any better, but at least we have other choices due to the USB interface that we didn't in previous generations.